A recent study of textbooks aimed at introductory biology courses finds that they devote less than one percent of their text to discussing insects, which make up more than 60 percent of animal species. The study authors argue that this provides a poor foundation for understanding ecosystems, biodiversity, and other core aspects of biological research. "Insects are essential to every terrestrial ecosystem and play important roles in everything from agriculture to human health—but our analysis shows that students taking entry-level biology courses are learning virtually nothing about them," says Jennifer Landin, a teaching associate professor of biological sciences at North Carolina State University and senior author of a paper on the study. The researchers wanted to see how introductory biology textbooks have changed over time. Specifically, they looked at how textbooks addressed issues related to biodiversity. To that end, they evaluated 88 textbooks, published between 1906 and 2016. "The shift in coverage of insects is what really jumped out at us," Landin says. From 1906-1920, introductory biology textbooks included an average of 32.6 pages devoted to insects, accounting for about 8.8 percent of the total pages. From 2000-2016, the textbooks devoted an average of 5.67 pages to insects, or only 0.59 percent of the total text. "This is problematic because it puts students at a disadvantage when it comes to understanding how ecosystems work; they have very little background on key species," Landin says. "And, in the long term, it means students may lack the information they need to identify population shifts that could have significant effects on ecosystems—including effects with ramifications for human health and well-being." The researchers also noted that textbooks, over time, focused less on the relationship between humans and insects. "We do not exist apart from nature," Landin says. "Humans and insects, for example, have direct effects on each other—and that is no longer clearly presented in the teaching literature. 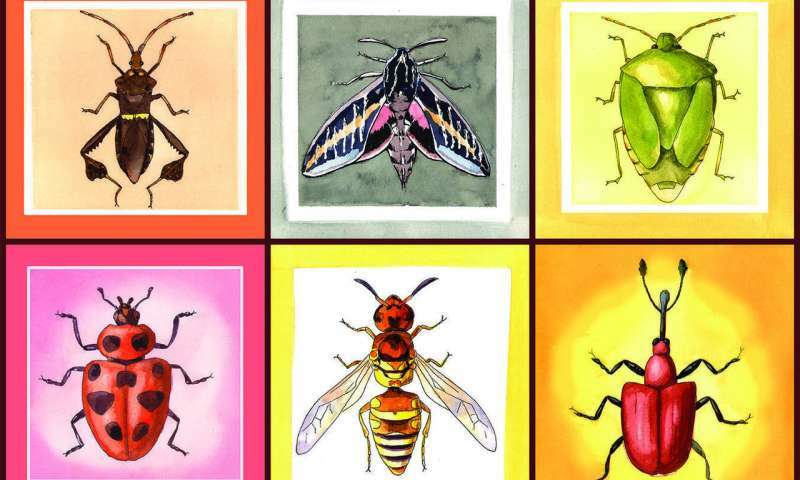 We saw societal shifts in the groups of insects addressed in texts; butterflies were covered more when butterfly collecting was a popular hobby, mosquitoes and other flies were overwhelming in books when insect-transmitted disease was rampant. Now, insects overall are barely covered. What does that reflect about our society? "If we want to train a new generation of scientists who are equipped to help us address global challenges and a changing environment, we need to ensure they have a solid foundation. That certainly includes a thorough understanding of species that make up so much of Earth's animal life."